Use this curve unit to make a 90-degree turn. 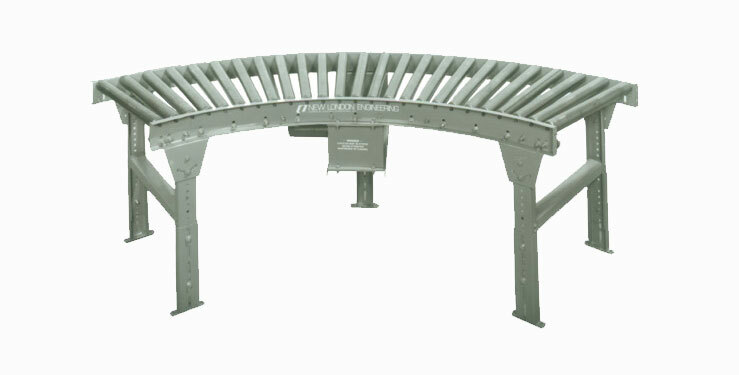 V-belt driven live roller spurs are used to merge product lines. Widths: 12", 18", 24", 30", 36"